Manufacturer & Supplier of Metal Ceiling Tiles for Hotels. Our product range also comprises of PVC Laminated Gypsum Ceiling Tiles, Tee Grid System and Mineral Fibre Ceilings. We are offering a wide array of Metal Ceiling Tiles for Hotels. These are made employing high grade raw material at our reputed vendors’ premises. Available at feasible price range, these products can be customized as per the demands of the customers. Offered tiles are known for beautiful finish and high strength. 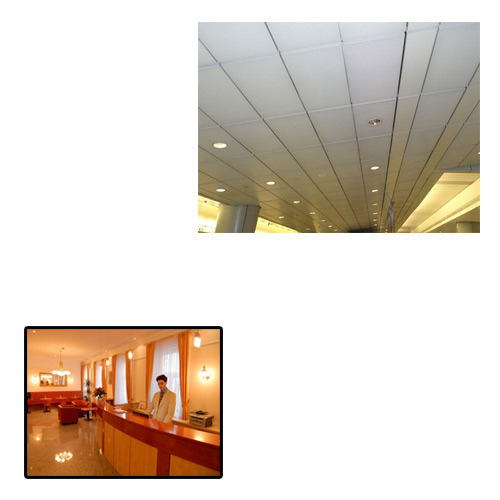 Looking for “Metal Ceiling Tiles for Hotels”?